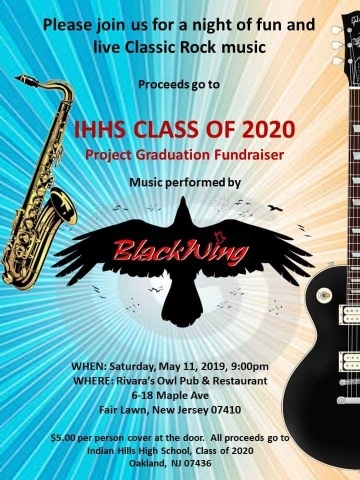 Please join us for a night of fun and live classic rock music with Blackwing at Rivara's Saturday May 11! All proceeds go to Indian Hills High School Class of 2020 Project Graduation. There is a cover of $5 at the door, and all proceeds go to Indian Hills High School Class of 2020 Project Graduation.